Tens of thousands of companies apply to the very selective Inc. 5000 list. It’s hard enough to make it once, but making it twice is something fewer than one-third of all winners have accomplished. 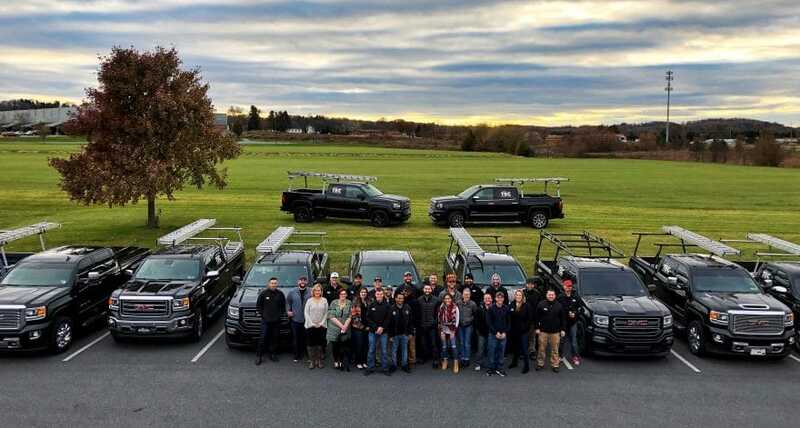 In Lancaster, Pennsylvania, however, the son of a contractor, who essentially grew up with a hammer and nails in his hands, has done just that, his exterior restoration company being one of the fastest-growing, privately owned businesses two years in a row. Ryan Hoke was just 23 when he first believed he could create and run a business to go against the stereotype of the standard roofer, founding The Exterior Company Inc. (TEC) in 2012. He’d back up that claim with substance, with TEC climbing to 168 on last year’s the Inc. list, as well as garnering fifth place among the nation’s fasting-growing construction companies. This year, TEC made the list again, and surpassed the company’s sales goal well before New Year’s Eve celebrations rolled around. Hoke, however, will never take all the credit. Those with a great ethic need apply to TEC. There’s certain to be work on the agenda. TEC is the go-to roofer for many folks whose homes have just incurred unexpected damage from, among other causes, the hail and heavy winds that can pound the Northeast states from late fall to early spring. In which case, there may be more than just extensive repairs; replacements and renovations must be consummated without delay—and other matters factor in. TEC also offers a guarantee that’s rare in the roofing industry. Owens Corning and GAF are the shingles of choice among many homeowners, and TEC has earned Platinum Preferred Contractor from the former and Master Elite status from the latter. 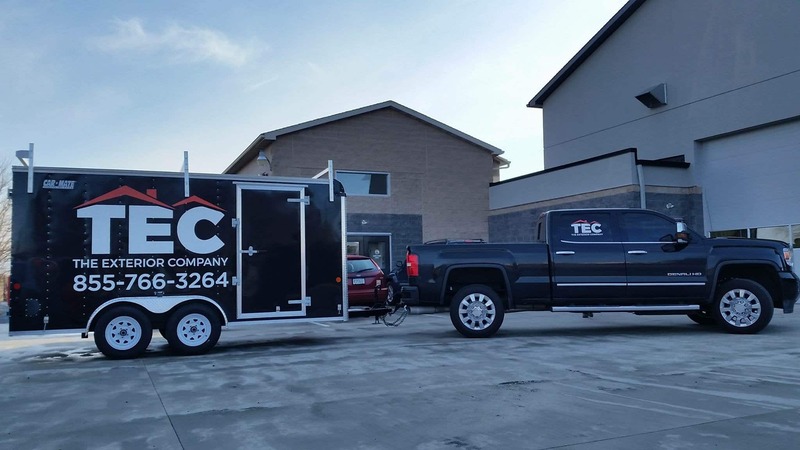 That’s a couple of prestigious designations that just 1 percent of U.S. roofers have earned, meaning that even if TEC were to go out of business, its work would still be guaranteed by the heavyweight manufacturers. Not that TEC will be closing shop, Hoke reminds. On the contrary; the company is licensed and insured in Pennsylvania, Massachusetts, New Hampshire, New Jersey, Maryland, Connecticut, North Carolina and Virginia, and anticipates opening up shop in Michigan and Florida in the future. Those states are sure to test the capability of any roofer; Michigan noted for blizzards and Florida for hurricanes and tropical storms. Its on-site crews savvy and certified, TEC provides a welcoming work environment for those who enjoy being outside and seeing the fruits of their labor. It’s hard work to be sure, but the laborers are generally compensated 10 to 15 percent more than the prevailing industry average. And it works just as well for the sales crew, with TEC’s economic model structured so the folks who bring in the work are paid a percentage of a project’s total cost rather than just off the profit. Those who excel may be in for a pleasant surprise, even if the consequences include a higher tax bracket. The “long ways” may take the top producers to all-expense-paid vacations to such places as Colorado, Las Vegas and Miami, with spouses sharing in the good times because, as Hoke reminds, they’re a vital part of TEC’s support system, even if they’re not on payroll. In any case, their other halves may be on the road for extended periods. But at least when in Lancaster, they’ll have ample opportunity to soak in a most progressive company culture, one that integrates the personal and the working lives. An office dog ambles about TEC’s office, enjoying belly rubs and treats from the staff and visitors. Most any time of day, a couple of employees may be volleying at the ping-pong table. Snacks and beverages are well- stocked, and come the holiday season, TEC has been known to give away laptops, iPads and custom Nikes and feature an “adult” piñata whose stuffings include scratch tickets, cash and assorted nips at the annual holiday party. The most priceless asset, office morale is something a company can’t buy. At TEC it’s nurtured in a way that Hoke expresses in a most forward-thinking manner.